File Transfer Protocol (FTP) is a standard protocol for sending files between computers over a TCP/IP network and the Internet. If this feature is enabled, you will be able to access your USB Storage files from outside your network. The USB Storage Tool on the Linksys Smart Wi-Fi will enable you to access your files via FTP. Follow the instructions below on how to enable this feature using the Linksys cloud account. Using FTP is a convenient way to access your files, may it be document or media files, whenever you are outside of your home network. All you need to do is enable this feature on your Linksys Smart Wi-Fi Router, and you will be able to access your files wherever you go as long as you are connected to the Internet. Log in to your Linksys cloud account. To learn how to do this, click here. 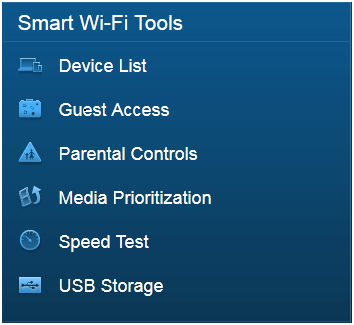 On the Linksys cloud account home page, click on the USB Storage under Smart Wi-Fi Tools. NOTE: USB Storage is displayed as External Storage on the latest Linksys Smart Wi-Fi Routers. Click on the FTP Server tab. Toggle the Enable FTP Server to the ON position. 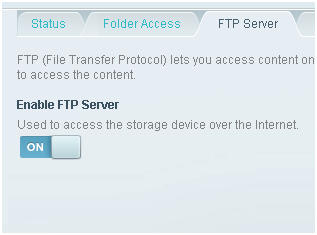 NOTE: To disable the Enable FTP Server feature, just toggle the button to OFF. IMPORTANT: Before you can access the USB Storage connected to your Linksys Smart Wi-Fi Router, make sure to configure the Folder Access settings of your router to successfully share files within a network. For instructions on how to configure the Folder Access settings on your Linksys cloud account, click here. After configuring the Folder Access settings on your Linksys Smart Wi-Fi Router, you are now ready to access the USB Storage of your device. On the Status tab, take note of the value found in the FTP server field. It contains the IP Address of your device. Open an Internet browser and enter the FTP URL in the address bar. NOTE: When accessing FTP, use a computer that is not connected to the same network. 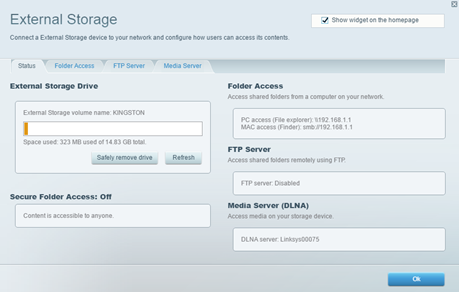 Using FTP, you can now access the USB Storage from your browser.